Cobalt-60 is a beta emitter that also releases gamma radiation. The energy released in the beta emission leaves the product element, nickel-60, in an excited state. 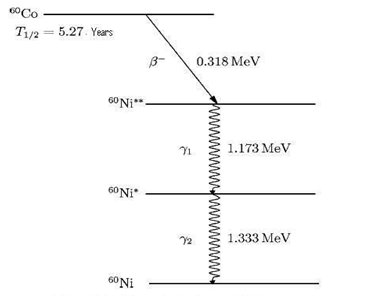 When the nickel-60 descends to its ground state, it gives off photons in the gamma ray region of the radiant energy spectrum.